Lemon Poppy Seed Fat Bombs - "Zesty & Sweet Keto Snack" - No Bake! 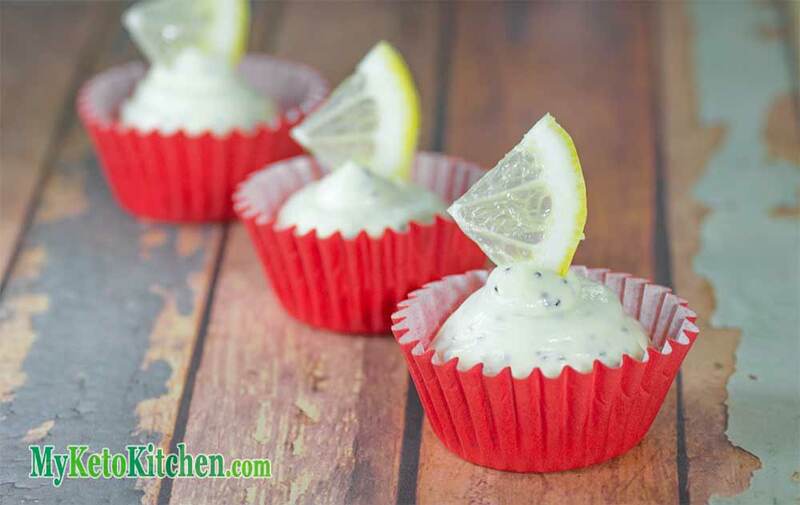 A sweet and zesty change to our fat bomb line up, these Lemon and Poppy Seed Fat Bomb Cups are creamy and sweet with a little tartness..
They’re are quick and easy to make, a great alternative to cooking chocolate all the time. Lemon and Poppy Seed are classic flavors in the world of desserts and are the perfect afternoon snack. These classic tastes combined with creamed cheese create a delicious smooth and zesty sensation on your taste buds. Make sure that you stick to the ingredient amounts as with this recipe a small adjustment can make a big difference in taste. Place all ingredients in a bowl and using a hand mixer, mix on low speed, when ingredients are combined, mix on medium/high speed for 3 minutes. We use this hand mixer. Gently spoon mixture into mini cupcake cases or place into a piping bag and pipe into mini cupcakes cases. Refrigerate for at least 1 hour. These cups will soften quickly in warm weather, we recommend to keep them refrigerated. Do you make your recipes in the metric measuring system? It’s easy to switch the units from US imperial to metric with the drop down menu on the recipe card below. If you want to make a larger batch of Low Carb Lemon and Poppy Seed Fat Bombs, simply adjust the serving amounts in our easy to use recipe card below. The measurements and ingredients will adjust themselves and all you have to do is follow the method. 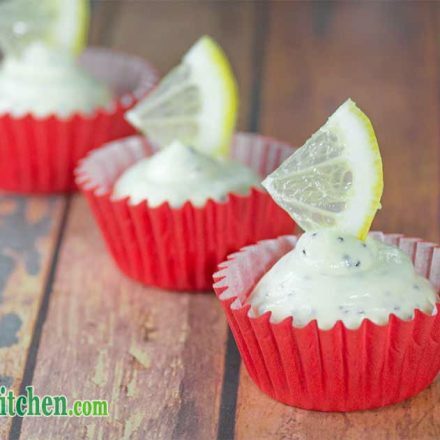 A sweet and zesty change to our fat bomb line up, these Low Carb Lemon and Poppy Seed Fat Bomb Cups are creamy and sweet with a little tartness. They are quick and easy to make, a great alternative for someone who doesn't enjoy chocolate. Place all ingredients in a bowl and using a hand mixer, mix on low speed, when ingredients are combined, mix on medium/high speed for 3 minutes. If you’re looking for more fat bomb recipes, we’ve got plenty, check out our Red Velvet Fat Bombs, Raspberry Cream Fat Bombs, and our most popular Vanilla Cheesecake Fat Bombs. We’ve added nutritional information for the lemon and poppy seed fat bombs on the recipe card above. This keto recipe makes 18 mini cups or 18 servings, the recipe card reflects 1 serving which is 1/18 of the total recipe. Substituting the lemon and poppy seed fat bomb ingredients will change the nutrition breakdown. I am thinking Key lime juice could work. That sounds like a great idea, Jan!